When you have a household full of monkeys, you buy a lot of bananas. And when you're the stay-at-zoo-mom, you buy a lot of coffee. And when you combine the two and make muffins, you wonder where they've been all your life. 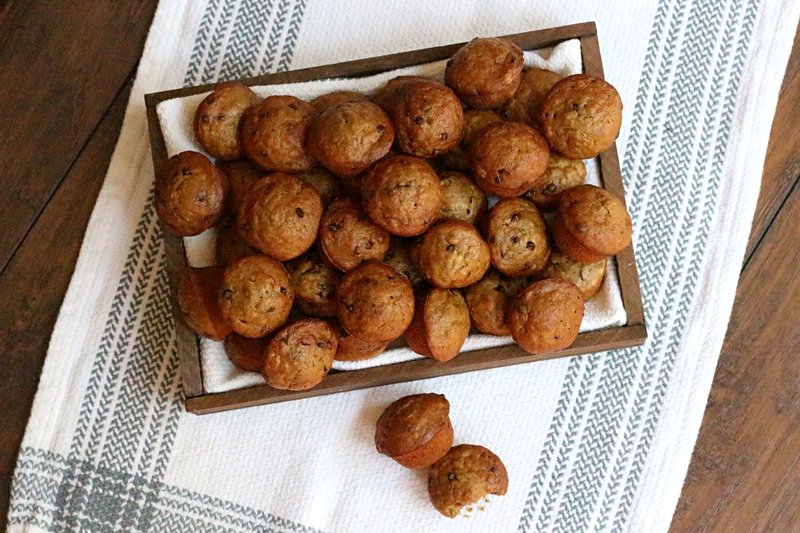 Add some chocolate chips and the perfect marriage of flavors come together in a bite sized little treat.